Anyone in need of an immune boost could benefit from taking beta-glucan. This is an immunomodulator, meaning it boosts the immune system but cannot overstimulate or suppress your immune system. Beta-Glucan can make your immune system both smarter and stronger, making it easier to identify self and non-self cells better than ever before. There are many natural sources of Beta-Glucan to consider including mushrooms, oats, barley and baker’s yeast. What are The Health Benefits Of Beta-Glucans? Beta-glucans can naturally boost the immune system, making it more efficient. It does this by stimulating macrophages – versatile immune cells that ingest and then demolish invading pathogens, stimulating the other immune cells to attack. Macrophages also release cytokines and these are chemicals that when secreted, enable the immune cells to communicate effectively with one another. Beta-glucans can also stimulate lethal white blood cells known as lymphocytes – binding to tumors or viruses and releasing chemicals to destroy it. Beta-Glucans have been shown to improve heart health and cardiovascular disease. 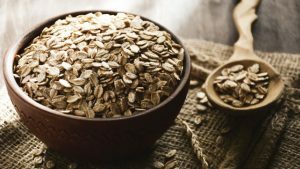 One study conducted by the US Department of Agriculture’s Beltsville Human Nutrition Research Center in Maryland used concentrated beta glucan into an oat fiber extract so that it could be easily added into the typical diet. The male and female study participants with mildly high cholesterol were put on a maintenance diet for one week and then given an oat fiber extract containing either 1% or 10% beta glucan. Beta-Glucans also have a range of health benefits for Cancer; Crohn’s Disease, Diabetes, Ear Infections, Fibromyalgia, Hepatisis, Allergies, High Cholesterol, High Blood Pressure, Infections, Irritable Bowel Disease, Liver Problems, Lyme Disease, Multiple Sclerosis, Rheumatoid Arthritis, Ulcerative Colitis, and Viral Infections such as HPV, HIV/AIDs. Beta-Glucans may also benefit physical and emotional stress and are very effective at healing skin conditions such as bedsores, eczema, diabetic ulcers, wounds, radiation burns and even wrinkles. There are many ways in which people hurt their immune system: Consuming sugars, stress, too much/too little exercise, poor nutrition, excessive alcohol, smoking and lackof sleep can all play a role. If any of these factors apply, it may be time to look at these life choices so as to improve and preserve the function of the immune system. Taking a Beta-Glucan supplement can provide natural protection and boost your immune system in the process. Beta-glucan can be derived from many different natural sources but it is easiest to take in a supplement form. This is because you will know you will be getting the highest purity and potency, thereby increasing its biovailability within your bloodstream. A powerful immune support compound derived from the cell walls of purified baker’s yeast (Saccharomyces cerevisiae-polysaccharides), yet contains no yeast proteins. 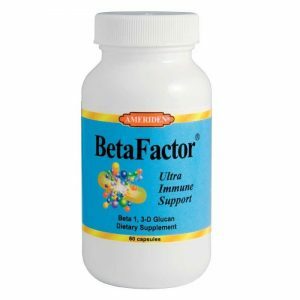 Beta Factor® ingredients have shown to effectively activate the macrophages that originate from specific white blood cells, to trap foreign agents that threaten the body. 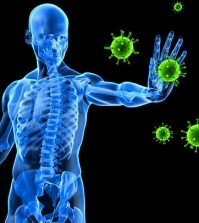 Studies have shown that Beta 1, 3-D Glucan can possibly make your own immune system more effective. Contains no yeast proteins and is safe and non-toxic to take on a daily basis. Available from Good Health Naturally. Contains OptiZinc, Larch Arabinogalactan and Beta 1,3 1,6 Glucan to give you even greater support for your immune system! D.I.P. 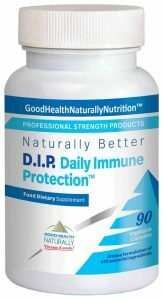 Daily Immune Protection™ is a unique formulation of proven ingredients for Immune Health. 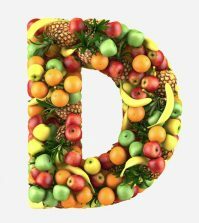 This super nutrient combination combines EpiCor® and eXselen™ Selenium with a strong dose of Vitamin D3 to protect against infections, boost immune response against allergens, and provide extra support for healthy cell growth. Available from Good Health Naturally.